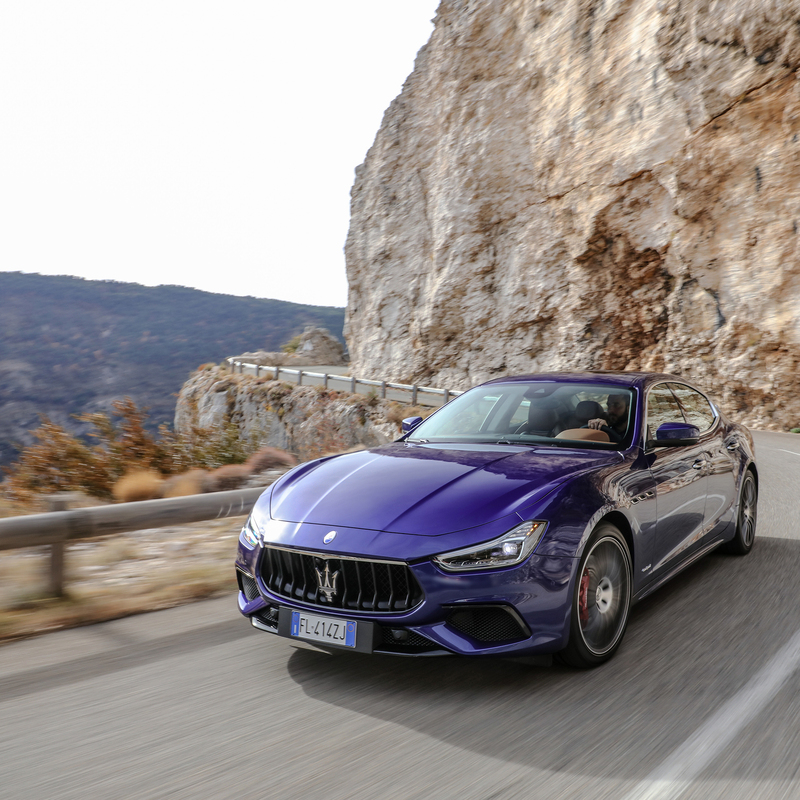 Tweaks made to the 2018 Maserati Ghibli appear to be minimal on paper with subtle styling touches and new badges, but place it in its natural habitat of narrow, mountain roads and you quickly find some other hidden gems lurking in the steering and suspension which ensures the smile stays planted on the face. 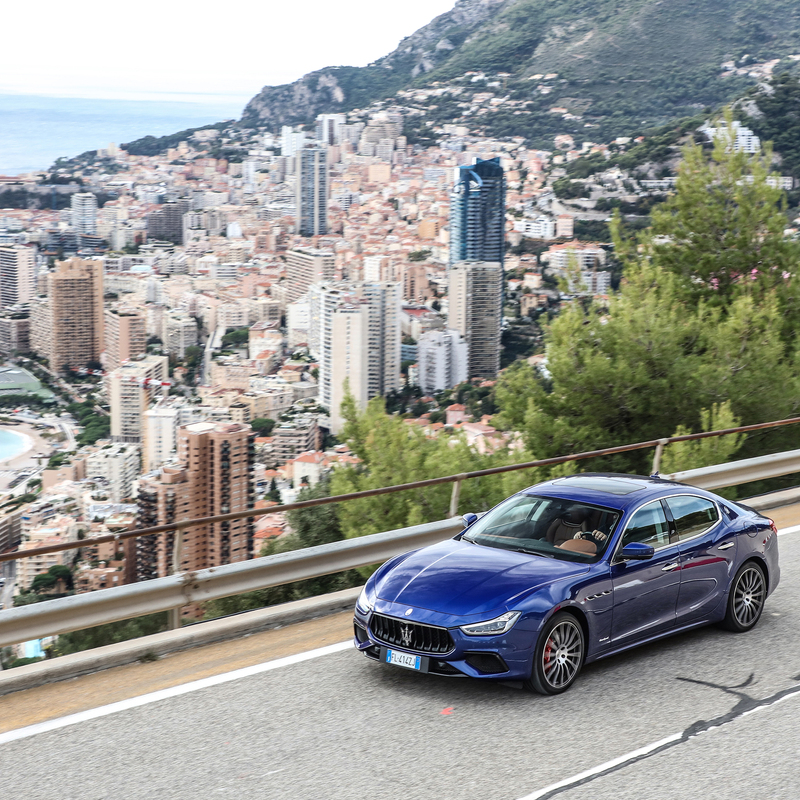 The hills above Monaco are home to some of the world’s best driving roads. Narrow and not without their pitfalls, you need to be at your alert best, but they are incredibly rewarding when you get it right. 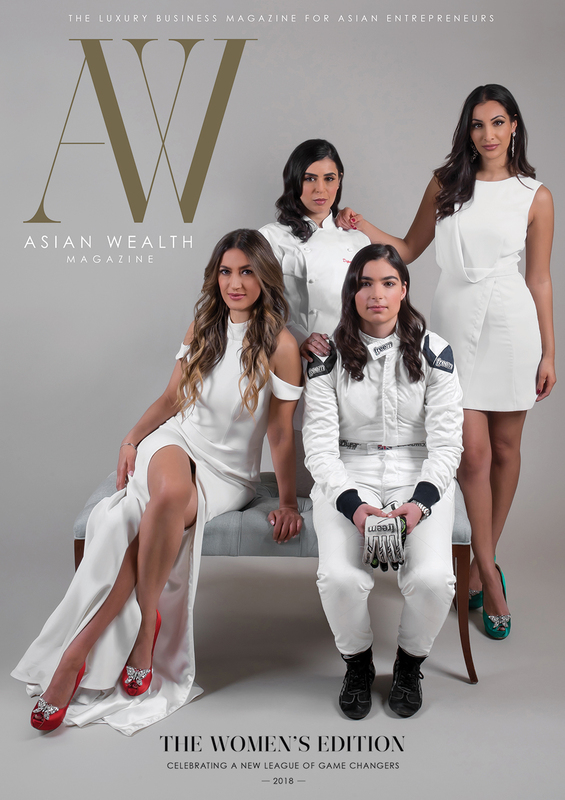 Behind the wheel of a twin-turbocharged, 430bhp V6 Maserati Ghibli on a crisp, cold, yet sunny winter’s morning, hunting down a warm Espresso, I had settled into a nice stride with the car. Cornering, apexing nicely, keeping the turbos on the boil, it was a rapid climb through the hills which, thanks to the lack of shrubbery from the trees awaiting their spring foliage, gave me a clear line of sight through most corners that wound their way around the mountains like strands of licorice. The Ghibli chassis was composed through the dips and troughs of the often uneven surface but with the suspension set to Sport mode, plus the fact we were punting the all-wheel drive S Q4 version, reaffirmed my stance that this is the best handling car to currently wear a Maserati badge. When in Sport mode, the throttle response was quicker, the steering had more weight and its adaptive Skyhook suspension tightened up. Best to choose wisely when to select this mode and not use it as the default setting because it did what it said on the tin and was not as comfortable as the regular setting. Over rough surfaces, it felt kart-like stiff but kept all wheels planted when I needed the traction. What’s That In The Mirror? During my spirited ascend, I noticed a mid-sized SUV in my mirrors was slowly getting larger and its daytime headlights were becoming more prominent as it gradually wound in the gap between us. Eventually, on one of the few clear pieces of straight road, this SUV indicated then accelerated past, pulled back into the lane in time for some heavy braking and was back on the gas, squatting out of the corner and off into the distance. Try as I might, I conceded that my driving skills, even in the Q4, were no match for this guy in his family-wagon SUV. 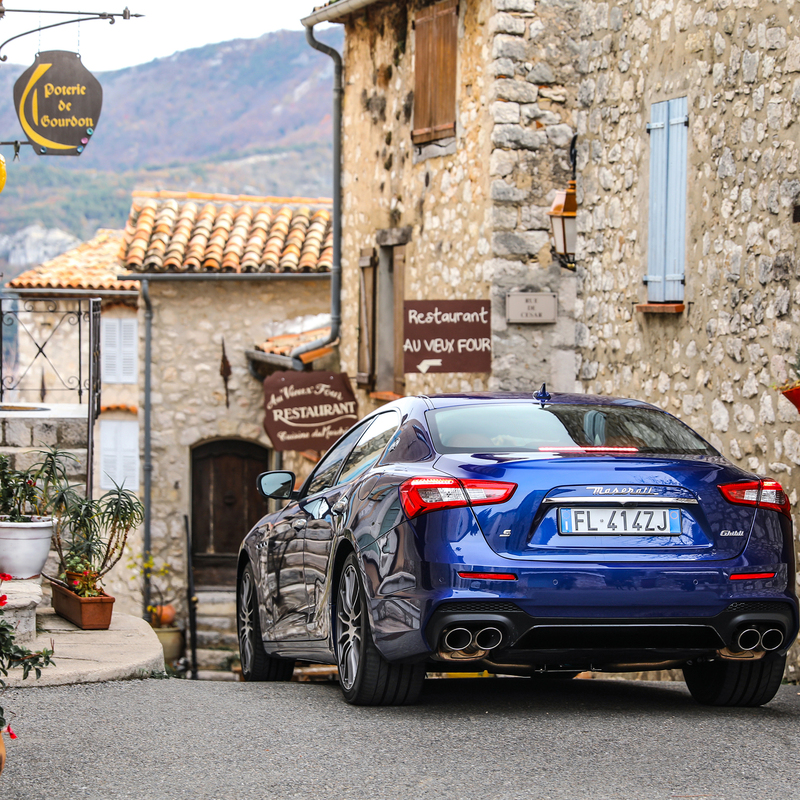 Slightly humiliating but at least it was another Maserati and as the Levante SUV is based on the Ghibli, they are close relatives, but still, being schooled like that in the taller five-door made me think that he must have been a local. At the coffee stop, the Levante was parked and the driver came over. As I also suspected, he worked for Maserati. He had spent weeks mapping the road course so knew the route well but also happened to be former Lancia World Rally driver and 1987 Group N World Rally Champion, Alex Fiorio. Having punted the iconic Lancia Delta Integrale Group A Rally car through these same roads during the Monte-Carlo Rally 20 years earlier, I suddenly didn’t feel quite so humiliated. Yet it was a revelation that as we talked about the pace of the drive up and how well both covered the tricky roads conditions like sportscars, we were looking at a four-door executive saloon and a five-door luxury SUV, both of which wholeheartedly deserved their Maserati badges after a drive that left all in our group with broad smiles on our faces. 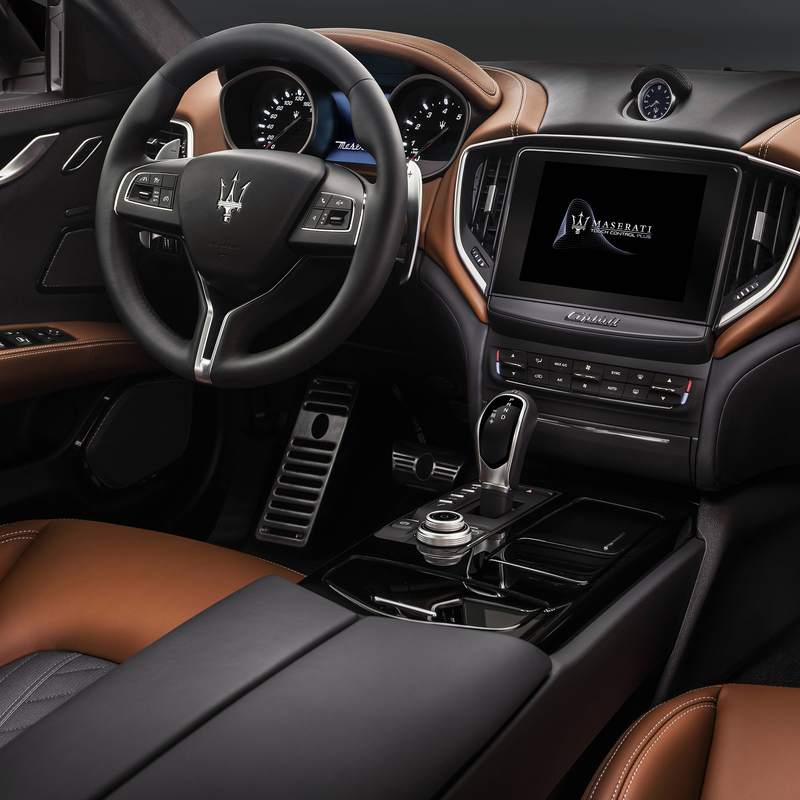 Probably the biggest difference from behind the wheel especially under those mountainous conditions, was the electric power steering and Integrated Vehicle Control (IVC) which is Maserati-speak for a new stability control system. 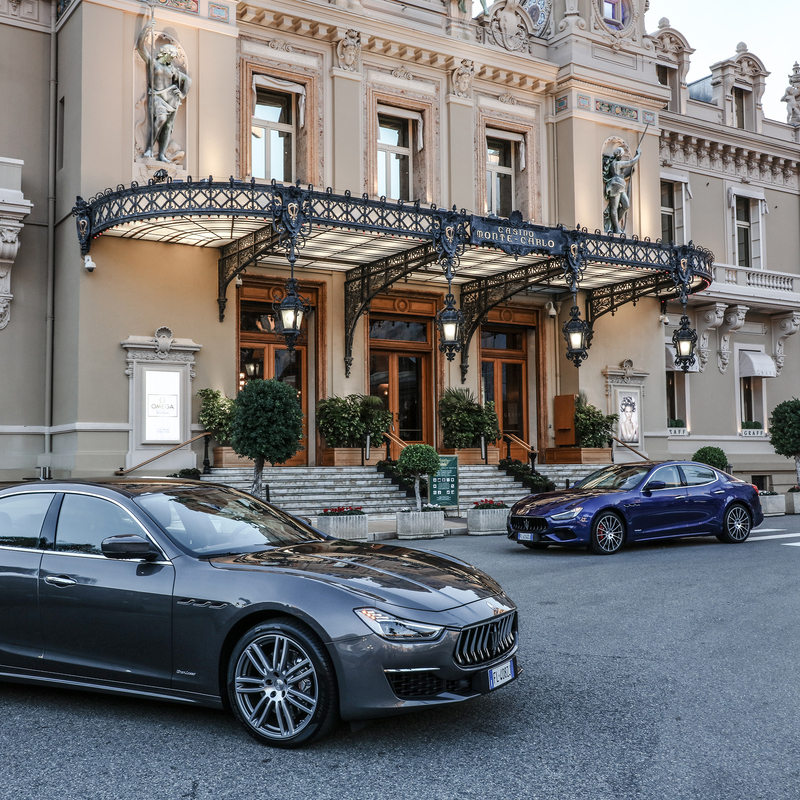 The Ghibli’s been around for a few years now but for 2018 it has been given a slight makeover to not only add a few features that were missing compared to the abovementioned rivals, but also bring the brand’s badging into alignment by introducing the GranLusso and GranSport badges used on the coupes, Quattroporte and also recently adopted by the face-lifted Levante. Zegna Silk or Piano Black? 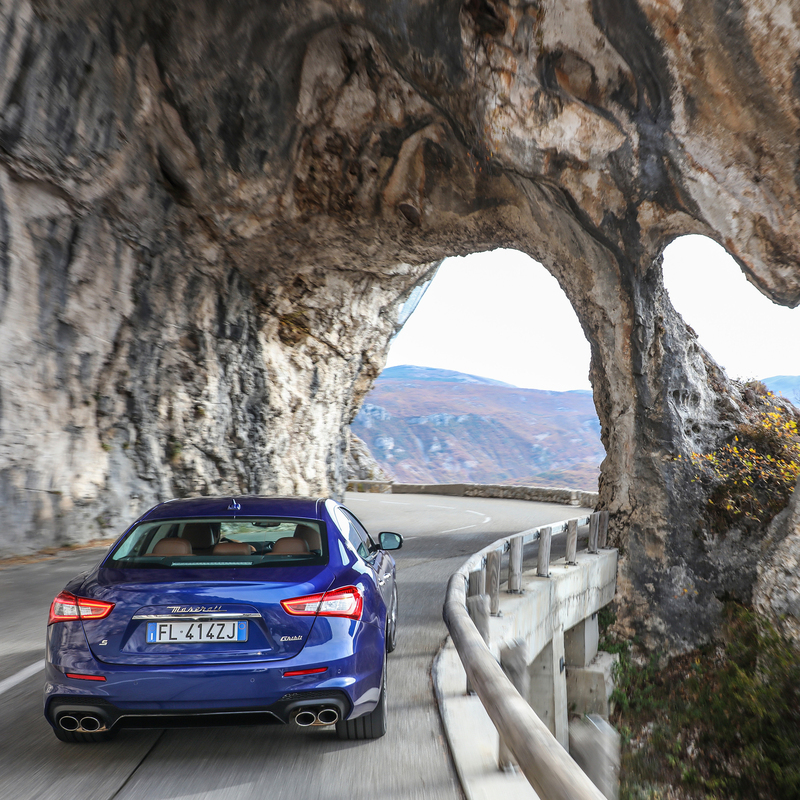 In true Maserati tradition, the Ghibli retains the pillarless doors which look great but have previously tended to increase wind noise, however that’s mostly been eliminated with the MY18 model range and provided a quiet interior when in Comfort mode. 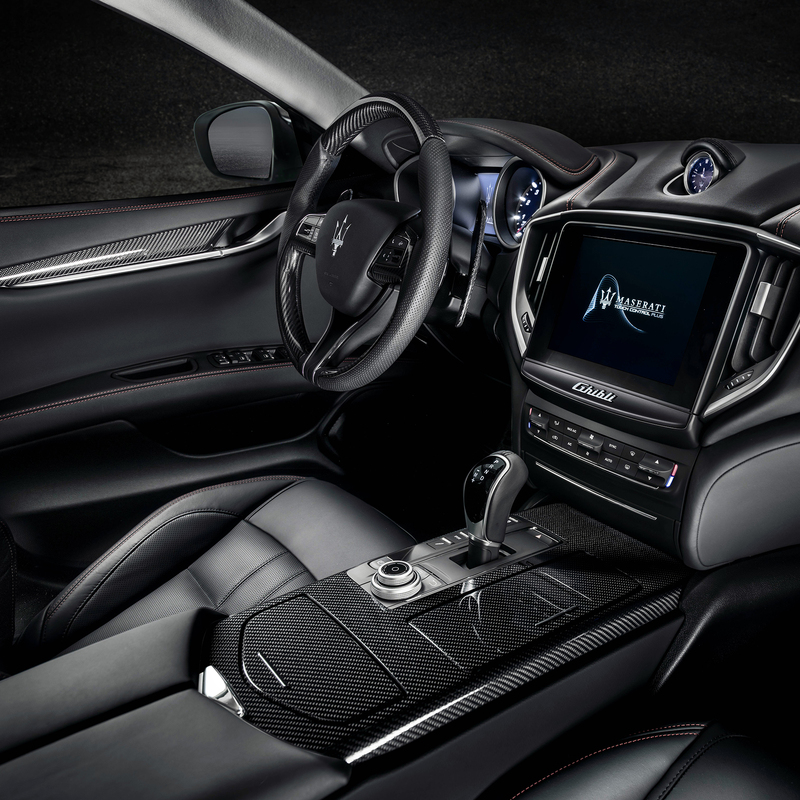 While the GranLusso was all chrome and timber trim with the inclusion of Ermenegildo Zegna silk or leather upholstery, the GranSport was all about the piano black and carbon fibre look offset against contrasting leather. 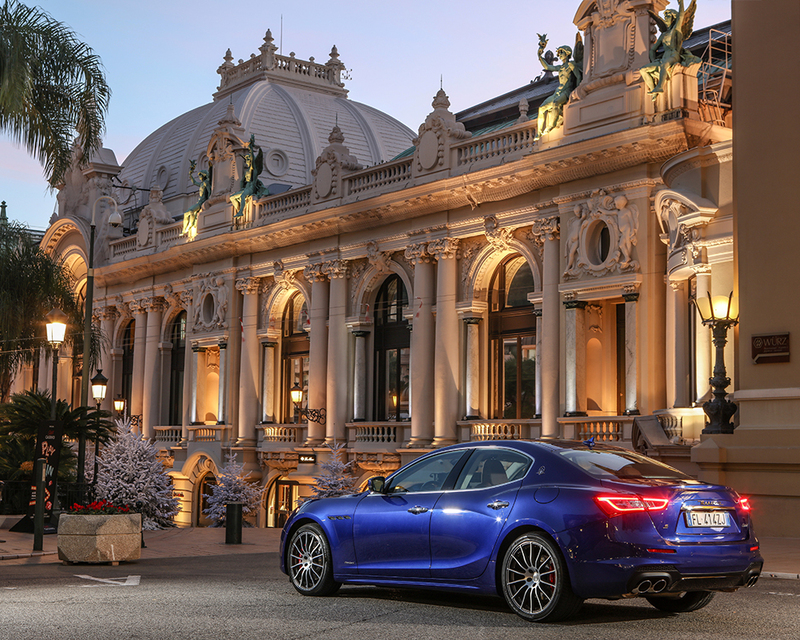 Overall, the Ghibli remains the most emotive choice of the luxury four-door saloons when compared to the Germans with a glorious engine note, Zegna levels of interior opulence and stunning looks, though it comes at a price premium at £67,000 GBP with all the fruit. You just have to remember that you’re paying for exclusivity because even though Maserati is on a massive ramp up of volume, it won’t match the heady numbers of the Germans and so therefore, thankfully, remains the lusty, niche alternative in the executive saloon arena.